I Am a Baking Fool! Lately, I have been thinking back on the days when I was a baking fool. I baked every thing under the sun and so, was able to master almost every kind of pastry and cake technique and recipe. Then I stopped. I don’t know if it was my waistline crying out for mercy or my aggressive RA breaking down my joints. Whatever the case, I really cut back on experimenting in the kitchen, especially with baking. Sad thing is, I love baking and especially European specialities. My love for European confections originates from the fact that I grew up eating them in London. A good croissant is virtually impossible to find here let alone a creamy, moist éclair with just the right amount of Chantilly cream. My return to baking has been prompted by a couple of things: one, an unfortunate encounter with the worst éclair I’ve ever had and two, the number of these unfortunate encounters have prompted my husband and I, to seriously think about our own business. We knew we always wanted to do something, and that something would involve food. We are just on the planning and research part of it right now, because, honestly, it’s not cheap. But, we have to start somewhere and so, I have been brushing up on my skills and dusting off my classic recipes. My children are in heaven; there maybe no dinner, but lately there’s always dessert! One of my favourite baked goods, and I know I’ve mentioned them before, are croissants. I absolutely love them and usually search high and low to find good ones at local bakeries ( and am disappointed a majority of the time.) Now, croissants are one thing that have always been on my to do list but the amount of work required to make them was always a deterrent. Finally, after eating another mediocre croissant, I decided it was time to master this classic, buttery, flaky goodness. After eight hours of kneading, buttering, folding and rising, I had perfect croissants. They were flaky, with a million layers, buttery and tender and wonderfully, golden and crisp outside. I was in croissant happiness. I researched quite a few recipes both on line and at home with my books. The recipe is pretty much the same with a change in butter quantity from recipe to recipe. I used my “Joy of Cooking”book recipe and followed the general guidelines with a few changes here and there. 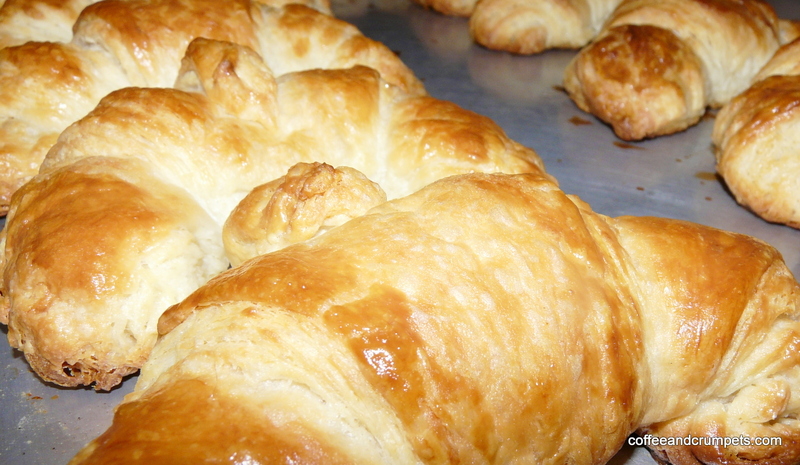 If you would like to make croissants, here is a link to a recipe I found on line. Forgive me, I do not have the stamina to write out the croissant recipe!! 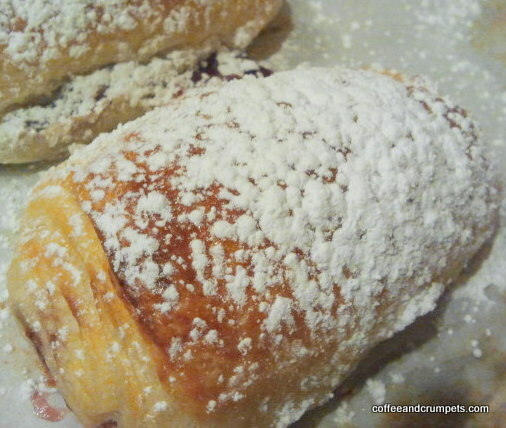 The next day, I used the other half of the croissant dough to make some jam filled sweet croissants for dessert. They were a hit. Another French favourite of mine are Petit Fours. They don’t seem to be as common here and though you can find them, they are not very good. Petit Fours are basically, little dainty cakes covered in a pastel icing. They are just so cute and dainty and time consuming! But for baby showers, and bridal teas, they are perfect. There is a trick to making them and it takes some practice getting them just right. I have been trying to master the European poured fondant and I think I’ve got it. My first attempt was a failure but I may have to blame that on the fact that the Broncos were losing when I was making it (they ended up winning but it was too late for my fondant.) 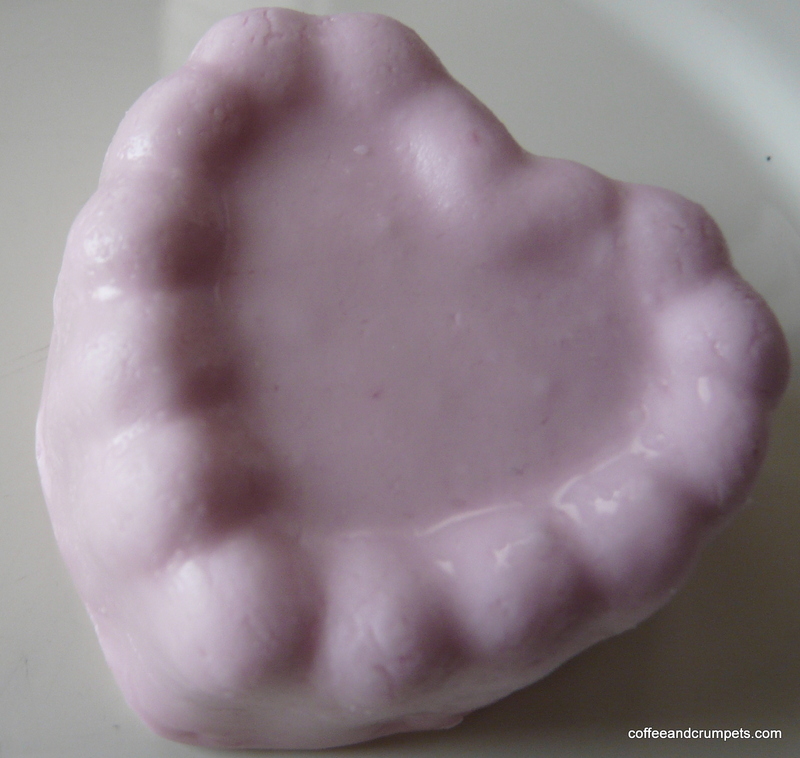 I will be making my Petit Fours tomorrow but I did make some mini heart cakes and experimented with my fondant. They tasted really good and brought back memories of eating Petit Fours in London. My baking rampage ended the other day with my éclair/profiteroles. I used to make these all the time back in the day and decided that it was time once again. For those not familiar with profiteroles, they are basically, cream puffs doused in indulgent, rich chocolate ganache. They are made with the same choux pastry used to make éclairs. My children had not tasted these and they really enjoyed them and even more so, after I told them that they are featured in Harry Potter. All in all, it was good getting back into the swing of baking. It’s very therapeutic, maybe not so much for my joints but for my mind. I am hoping to keep adding more techniques under my belt and be ready to take my show on the road, so to speak. Next week, Laith is going to “Star Student” in his class and he gets to tell everyone about himself and his family. On Friday, he will bring a treat to share with his classmates. I know I am making something to do with Star Wars, because Laith is CRAZY about Star Wars. I haven’t decided if its Star Wars cookies, cupcakes or cake pops. I am trying to work out the decorating logistics in my head along with how to get past the whole partially hydrogenated oils in most decorating supplies *sigh*. I will get there, and will post my results soon. Thank you for reading and I hope you all have a fabulous weekend! Thank you!! Did you find an eclair? If you like croissants, you must try a kouign amann…similar but (I think) even more delicious. Even better with salted butter. But your croissants and petit fours look incredible! Thanks!! I will need to look up a recipe for that….I like anything made with flour! Thanks GG! 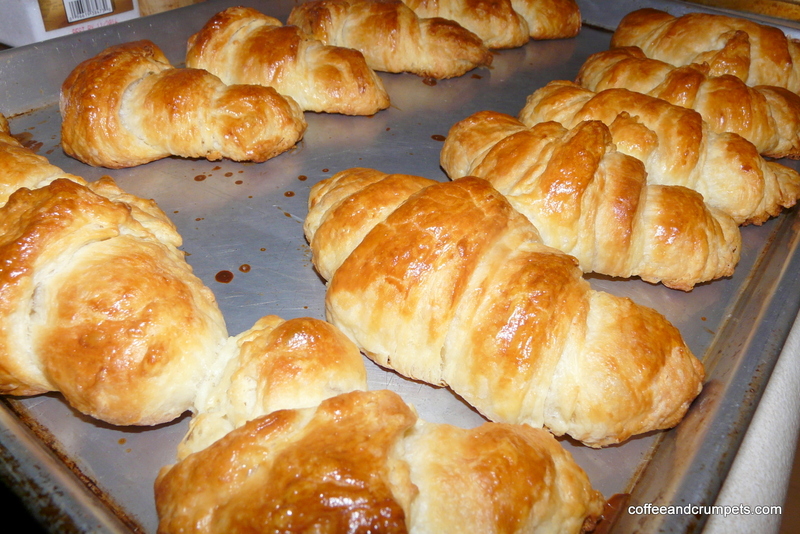 I am happy the croissants turned out so well and they were SO good! I will eventually blog about poured fondant…it’s just so tricky and I honestly think I just got lucky when it turned out. It’s like regular fondant, but melted so you can pour it rather than roll it. Mainly used for Petit Fours. Thank you for your support, it’s slow work but I hope we can get it going sooner than later. How wonderful that you are baking once again. And….classic things, too! 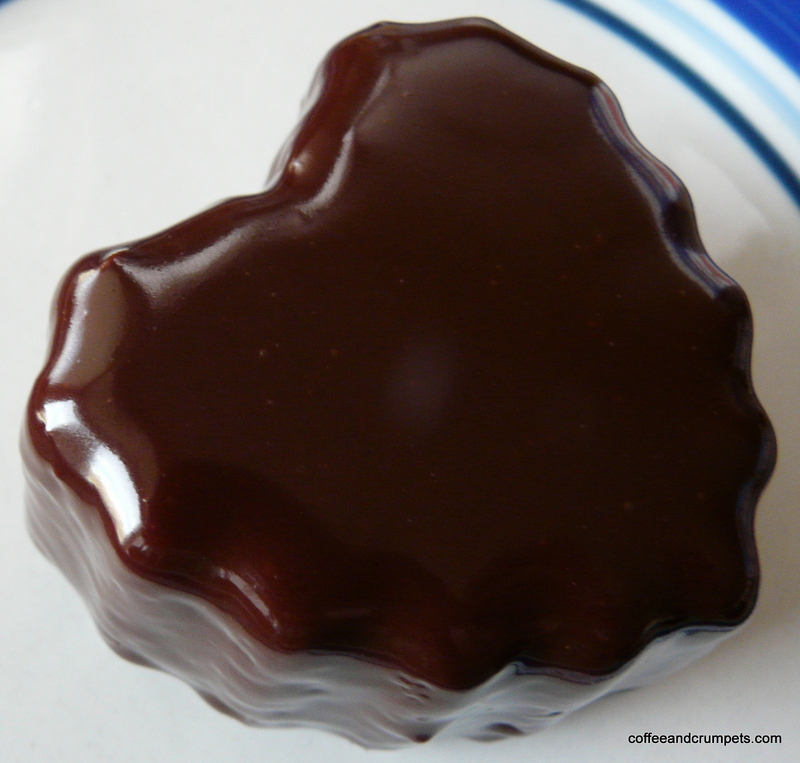 I took a baking class many years ago from a REAL Frenchman who had/has? a bakery in Vail. One of my friends and I were his only students. We spent a week with him every day watching, writing notes and “helping.” We made bread and croissants. The only thing I really remember is that there are many steps. I have never made them since. At the end of the class he invited us to select whatever we wanted from his storehouse of baking molds, etc. I still have several items and I HAVE NEVER USED THEM! 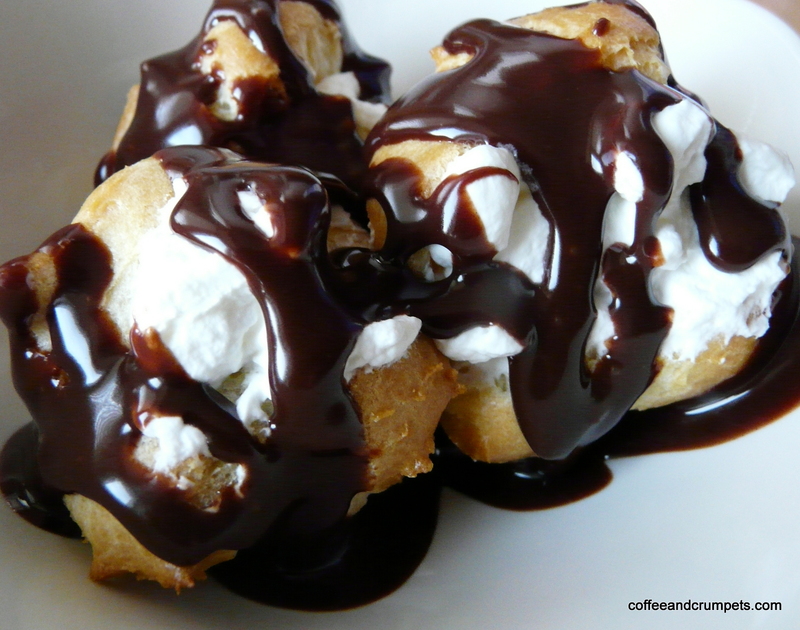 I intend to make profiteroles myself some day. I have heard that it is not very difficult. Right now I am concentrating on peasant “boules” and “French” bread. My husband is usually the bread baker in the family while I make the cakes and cookies. He is very good. I love knowing that, really, whatever we want to make we can learn to do. Actually, one just has to begin, put in the effort, and unless one is an idiot, it should turn out right. I love making everything from “scratch” as we say here in the US. More power to you, Nazneen, and when you open your bakery I want to be first in line right behind your children, so let me know! Thank you! You have some great recipes too! Thanks for stopping by.